When you are visiting an unknown place, transportation is one of your biggest concerns. Looking for a taxi every time you want a ride, takes a lot of time and effort. 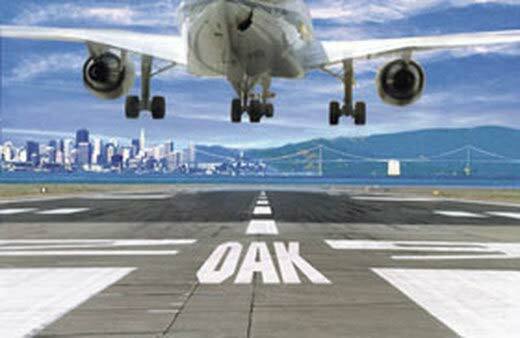 This problem starts as soon as you land at the Oakland Airport. You will have to wait for a bus or a taxi with your entire luggage, which can be very frustrating. If your flight lands at night, it will be impossible to find a ride easily. Thus, you should try to plan ahead. If you are booking your hotel rooms and all the other stuff, you can also book a car service. These days many people like to charter a car to take them around when they travel to another city or country. If you are planning a trip and your flight will land at the Oakland Airport, you too should think about doing the same. At first, some people discard it just as an unnecessary expense. You might do that too. But once you take a look at all the services you will get by hiring a car, you will definitely realize that it is worth the money. LimoStop provides luxury car services to and from the airport at an incredibly affordable price. You can hire a vehicle online from our list of Luxury vehicles such as Sedans, Luxury Sedans, SUVS, Vans Shuttle Buses, Limos, Mega Stretch Limousines and Black Limos to make your travel experience luxurious and filled with optimal comfort. The initial moments of a trip are very crucial, especially for those who do not travel much. In these moments if you face any problem you might regret coming here. And when there are so many problems already waiting for you, the chances of that happening are quite high. You might have difficulty in finding a ride to your hotel or in handling your luggage. But with our Ground Transportation services, these problems can go away. Your car will be waiting for you before time. When you have booked a car from LimoStop you should get nothing but a stress-free ride with comfort and luxury. If you have arrived here for a special event like a wedding, party, sporting event or even a corporate event, you can leave a mark by arriving in a limousine. A well-dressed chauffeur will take you there in a spotless limo or some other expensive black car of your choice. At night waiting for a taxi outside the airport alone can be a little scary due to safety reasons. But this will not happen if you hire LimoStop, because that is due to our acclaimed great service that you will have a safe ride. We strive to be the best by providing 24/7 service, and also ensureing that the car arrives before time to receive you. Some of them are always early. You can easily get our transportation at an economical price. Obviously hiring limousines or luxury sedans are expensive but there are cheaper options also. If you select the right choice, you might even get a cheaper deal than taking a taxi.